It is very common to describe linear sections of the United States as belts. 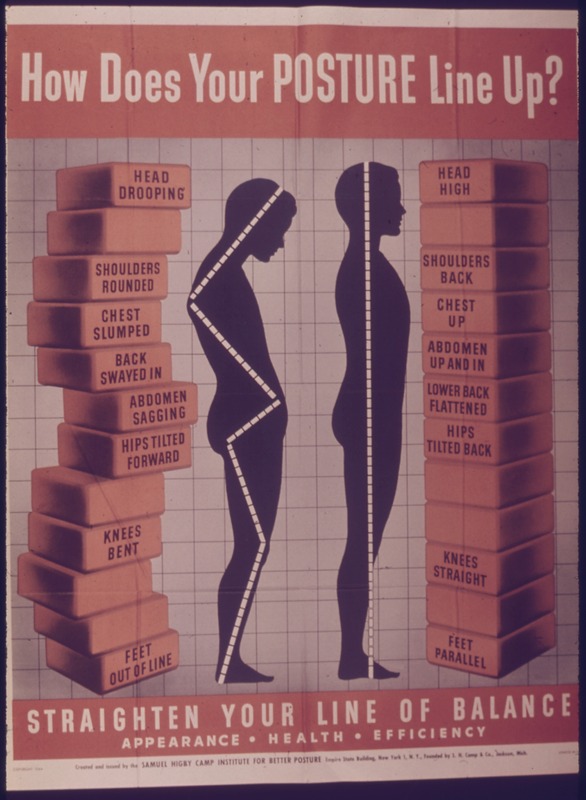 We have the rust belt, the sun belt, the Bible belt, etc., as if these areas were the midsection or waist of a person. These metaphors and others derived from experiences with clothing accessories are described below. 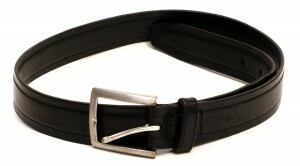 A belt is a common clothing accessory that circles the waist and holds up the pants. Its circular shape is used in a metaphorical comparison of geographic areas. America’s capital, Washington D.C. is surrounded by a huge highway built in the form of a circle. This area is commonly called the beltway. Example: Barack Obama was not considered to be a beltway candidate for president since he had worked in Illinois, not Washington; however, John McCain, a longtime U.S. senator was sometimes called a beltway insider. Large areas of the country are also sometimes referred to as belts. The area mostly between Michigan and Pennsylvania is where most of the steel industry has been located. When products made with become old, the metal begins to rust. This large area is sometime called the rust belt. Example: Many rust-belt workers in Michigan and elsewhere lost their jobs when the large car companies lost sales. The area in the southern United States that gets a great deal of sunshine approximately from California to North Carolina is called the sun belt. Example: Many northerners move to parts of the sun belt after they retire so they can enjoy the warmer weather. The so-called Bible belt is a large area in the southeastern United States, roughly from Texas up to Virginia, in which many people are Protestant and often study the Bible. Example: Conservative politicians often gain many votes from the Bible belt because they hold similar views on many religious issues. The oil-producing areas of the southern areas of the United States including Texas, Oklahoma and Louisiana are sometimes collectively called the energy belt. Example: Despite the economic recession of the last few years, states in the energy belt have prospered because of the high costs of oil and natural gas. An area of the southeastern United States in which many African-Americans live is sometimes called a black belt. Example: Presidential candidates must campaign in the black belts of the South to gain the confidence and the votes of the African-Americans who live there. A cloak is a heavy garment like a coat but without buttons or zippers; it is simply worn over the shoulder like a pancho in Spain or Mexico. In metaphorical terms, something that is cloaked is hidden or not revealed by a person or organization. Example: The military plans for the invasion of Iraq were cloaked in secrecy. A wrap is another type of cloak. The phrase under wraps also indicates that something is hidden from view. Example: The governor’s new plans for the state economy are currently under wraps. They will be revealed at a press conference next week. 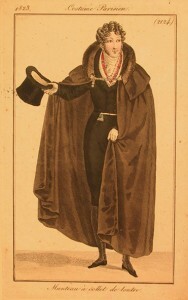 A hood is the top part of a coat or cloak that covers the head. 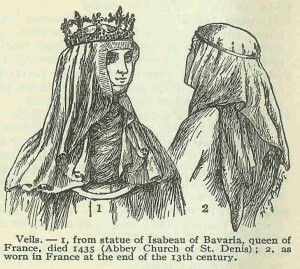 If one’s head is completely covered, this is called being hooded. An old term to cover a person’s eyes with a hood was to hoodwink someone. In modern terms, to hoodwink means to trick or deceive someone. Example: Sometimes names for programs are designed to hoodwink the public. For example, the so-called Clear Skies Initiative actually allowed some companies to pollute the air even more that before. 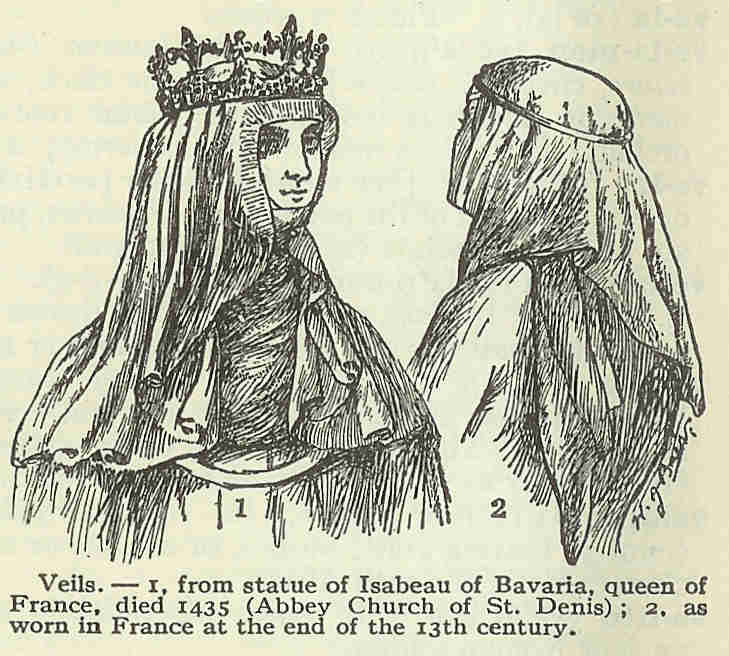 A veil is a thin piece of fabric used to cover a woman’s face in certain religious traditions. In modern terms, something that is veiled cannot be seen directly. One must look hard to see what is really going on. Example: The Bush administration argued the United States needed to invade Iraq because of Saddam Hussein’s veiled threats to use terrible weapons of mass destruction. Clothing made out of wool is normally very thick and heavy so that you cannot see through it. There is an old expression that if you pull the wool over someone’s eyes, that person is being tricked because they cannot see what is going on. Example: American people do not like politicians who pull the wool over our eyes with dishonest dealings in Washington. We want to have officials who tell the truth to the people. Well, it’s that time of year – when kids go back to grade school, teens go back to high school and young adults go off to college. I thought it would be fun to share some political metaphors that are derived from our collective experiences in the classroom. Most teachers use a board on the wall on which to write the lesson. In the past, teachers used chalk to write on the board (although nowadays most classrooms contain whiteboards upon which teachers write with dry erase markers). To write on the chalkboard is sometimes called to chalk up the information. In other contexts, one can chalk up scores in sporting events or financial information in business settings. Metaphorically, one can also chalk up or record and categorize events or information. Example: The losing mayoral candidate chalked up his loss to inexperience in public government and a badly managed campaign. 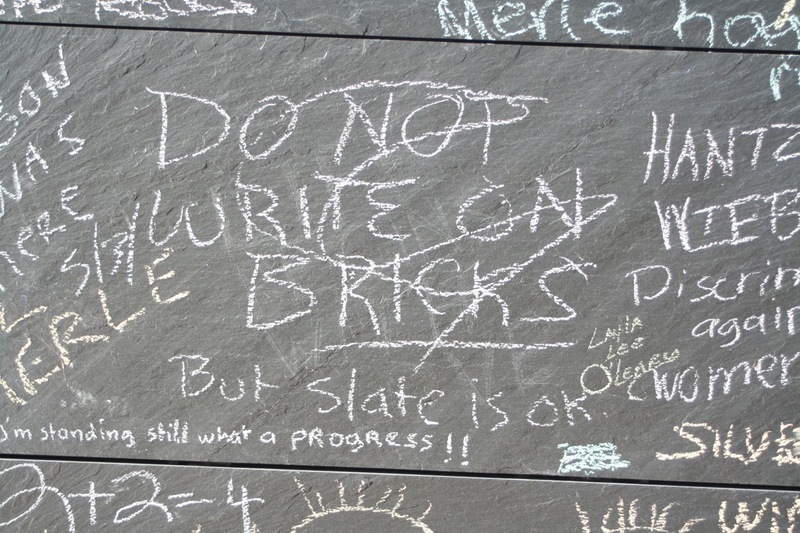 In the past, chalkboards were made of thin slices of slate, a heavy black rock mined from quarries. 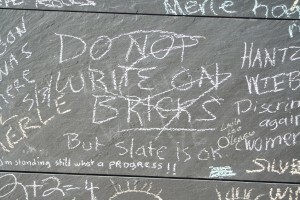 Similar to chalk up, to slate something meant to write it on the slate chalkboard. In popular terms, to slate something means to plan an event. Example: The presidential debates are always slated to occur just prior to the November elections. Teachers commonly test the students on their lessons. The notion of testing can be used metaphorically to all kinds of everyday situations. In politics, public officials can be tested by other politicians or events. 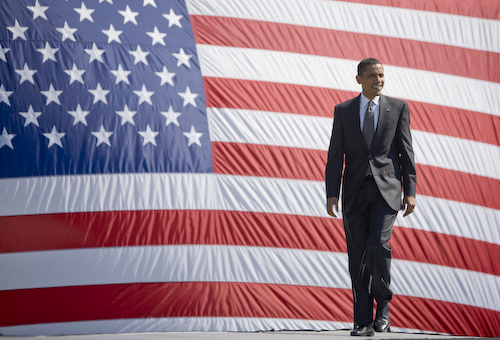 Example: The economic crises of 2009 really tested the strength of Barack Obama to manage the national economy. Similarly, politicians or policies may be untested if they are not challenged by people or events. Example: During the 2008 presidential campaign, some critics complained that Obama was an untested politician since he had only spent a few years in the United States Senate. Teachers define or explain words to their students based on respected dictionaries. In politics, a person can be defined by certain life experiences or voting records. Example: As a presidential candidate in 2008, John McCain was defined by his heroic survival as a prisoner of war during the Vietnam War. Most people learn through books chosen by the teacher of a particular class. Teachers may give a test when the students cannot look at their books, called a closed book test. Teachers may also give an open book test in which the students can review what they have learned while taking the test. Thus an open book implies accessible, clear information. In popular terms, a person’s life may be described as an open book meaning that they have no secrets and provide information about themselves to the public. Example: Since Barack Obama had written two books about himself before he ran for president, he claimed that his life was literally an open book. Many difficult tasks require a handbook filled with procedural information in order to complete those tasks successfully. Teachers, administrators, mechanics, computer repair technicians, etc., normally use handbooks to do their jobs. In metaphorical terms, a handbook is not literally a book, but a collection of established practices. Example: Presidential candidates must use the handbooks of previously successful candidates if they want to win the election. All students use paper to write on. 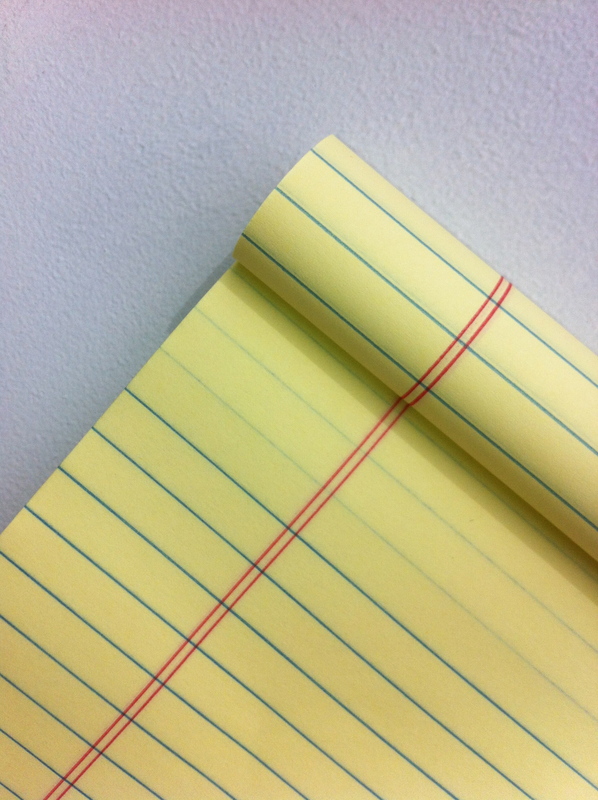 Most sheets of paper contain a center section on which most of the writing is recorded, but there is also a section on at least one side, called the margin, where additional notes can be made. The word margin originally meant the land at the edge of a sea or lake. However, since the 14th century, it has meant the side of piece of paper. 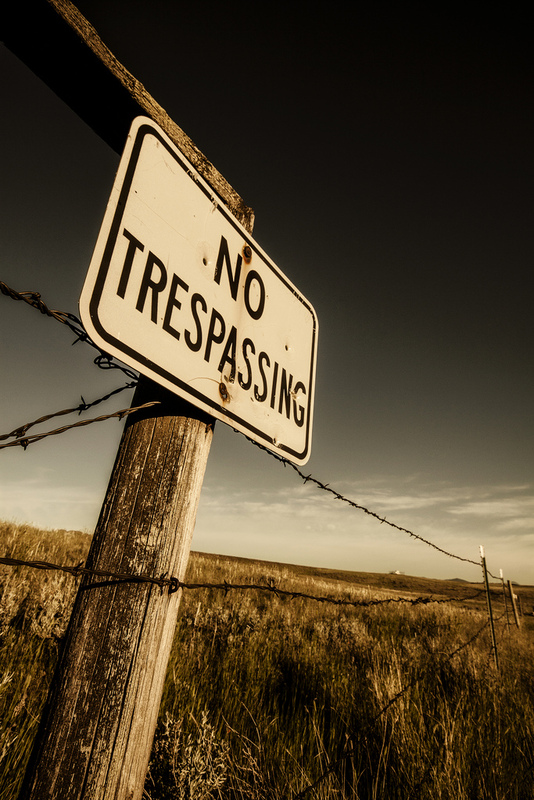 In popular terms, something that is marginalized or on the margins means it is not part of the normal context. In politics, some social groups or political parties can be marginalized or on the margins. Example: In modern American politics, third party candidates (not Republican or Democratic) are often marginalized and are not taken seriously. Example: Poor, elderly people often live on the margins of society without proper food or housing. Children learn to write words by spelling the letters out loud. In metaphorical terms, to spell out something means to provide an explanation in the simplest terms. 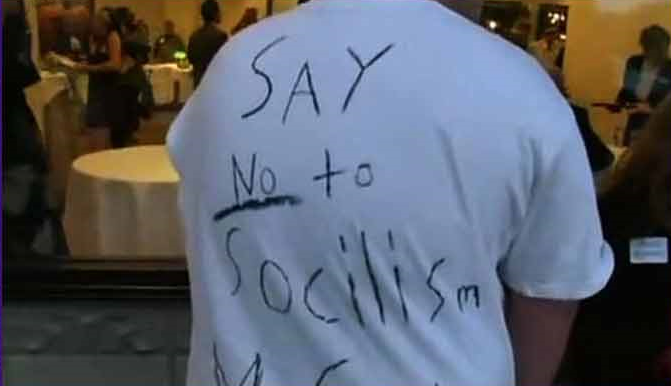 Example: Candidates for public office must spell out their policies for the economy, military support, labor laws, etc. so that people know where they stand on the issues. Students must take notes from the teacher’s lectures so that they can remember the details later. When something is noted in popular terms, it means it has been recognized and understood by many people. There are two uses of the term noted: 1) to say that someone has noticed something and reported on it, or 2) someone is famous for doing something. Example: During the 2012 presidential campaign, voters noted that there was a lot of fighting back and forth between Barack Obama and Mitt Romney and they wished for a more civil process. Example: Barack Obama was a noted public speaker before he ran for president. To post information originally meant to attach a piece of paper to a wooden post so that everyone could read the information on the paper. In an educational setting, information is posted on bulletin boards so that students and teachers can read it. In business terms, companies post their profits and losses in newspapers, on radio, television and the Internet. Example: In 2008, everyone became very worried when the stock market began to post record losses and the economy took a turn for the worse. When information is typed or printed on a computer, one can use a darker type called boldface to bring attention to those words (as in all the metaphorical terms listed on this page). (The term boldface is also a body part metaphor as in having a bold face when doing something requiring strength or determination.) In politics, something or someone may be referred to as being in boldface if they are considered important. In another sense, someone may be accused of making a boldfaced lie, if it is clear that they are not telling the truth. Example: Presidential candidates need to have boldface names on their list of campaign donors to encourage other people to make donations. Example: Politicians caught telling boldfaced lies are usually not elected to another term after that since no one likes a dishonest person. This past week President Obama gave a speech on the situation in Syria. The speech was very serious in its tone and he spoke bluntly with many literal phrases. However, it also contained a moderate amount of metaphors. 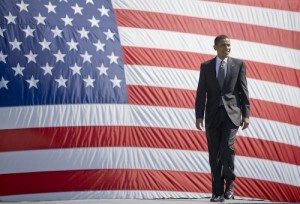 Past presidential speeches have contained journey metaphors as President Obama described present and future policies. This time the journey metaphors were few and far between perhaps indicating that the future of the situation in Syria is completely unknown. As diplomatic and military options seem to change every day, there is less certainty about U.S. government plans and policies. Nonetheless, the speech contains several metaphors worth noting. In one case, President Obama describes a light military strike as being a pinprick. This is an interesting comparison of something that causes a small amount of pain to military bombing. 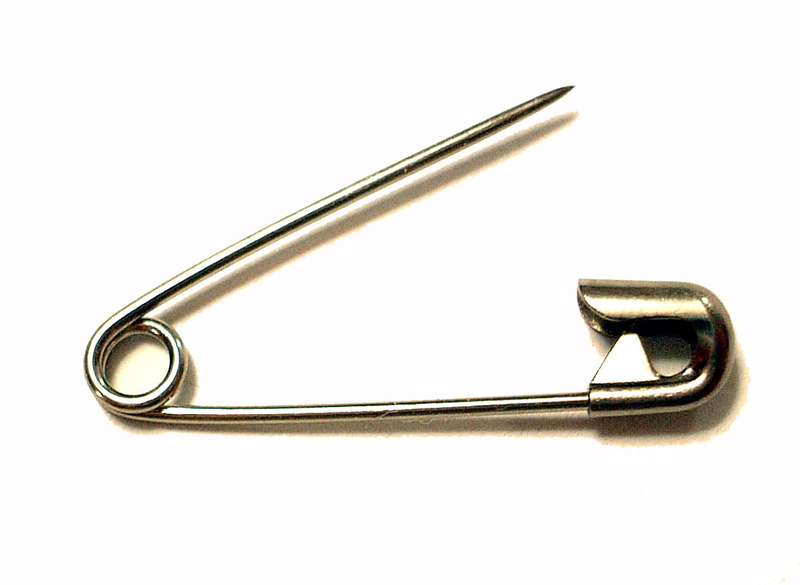 I am not sure what the opposite of a pinprick would be in this case. The speech also contained a variety of fascinating examples of another common rhetorical device used by politicians talking about war – using personification to describe countries as people. Here are a few examples. We often speak of countries standing up or standing against military actions of other countries. Here President Obama talks about responding to Syria’s use of chemical weapons. A country is also described as being a strong person. “I believe our democracy is stronger when the president acts with the support of Congress, and I believe that America acts more effectively abroad when we stand together. 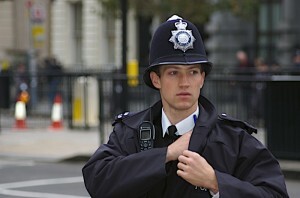 In a slightly different use of personification, body parts of people in the government are described metaphorically as being collective parts of the government or the military. Technically this is an example of what is called synecdoche, described more fully in an earlier post. A common example of synecdoche used in war discussions, boots on the ground is again repeated here. Later in the speech, President Obama repeats the metaphors of heavy burdens on world leaders. People can also be described as being pushed or pulled in a certain direction, although their bodies, of course, are not literally being pushed or pulled. 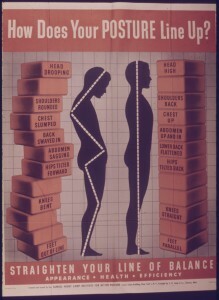 Governments and groups of people can also be described as having a posture or a body position indicating a certain political view. Finally, in a classic political metaphor of personification, the United States is compared to being a policeman, as if other countries around the world are committing crimes and need to be arrested. Stay tuned for more interesting metaphors in the discussion of the situation in Syria. As mentioned in my analysis of Martin Luther King, Jr.’s “I Have a Dream” speech, metaphors based on sounds can be powerful rhetorical devices. We use metaphors of sound in everyday speech as well. Here are a few metaphors based on our collective experiences with sounds and music. One of the most common metaphors is saying that something sounds like something else, when we really mean that the situation indicates a certain result is predicted. For example, if the weather forecast is for temperatures above 100 degrees, we might say, “It sounds like a hot one today.” In politics, we might say that a certain election outcome is inevitable based on current information. Example: When Hillary Clinton announced her candidacy for president in 2007, there was so much excitement from women democratic voters, it sounded like she was a sure thing to win the election. However, Barack Obama beat her in the primary, and her bid for the presidency was denied. When a person speaks in a harsh manner, being strict or forceful, we may say that they are striking a tough note. Example: When John McCain talks about national security, he often strikes a tough note. As a former prisoner of war, he knows that we need to have a strong military force. 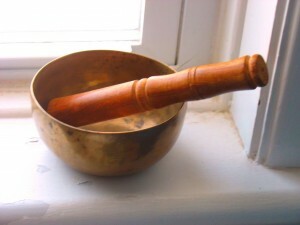 A Tibetan singing bowl produces harmonic overtones when struck – used in meditation, relaxation and healing practices. When we speak, we always have a tone of voice, perhaps angry or calming or whatever emotion we are experiencing at the time. A speaker is said to intone a certain message depending on his or her emotional state. Example: After the 9/11 terrorist attacks, President George Bush gave a speech from ground zero in which he intoned a determination to punish whoever caused the attacks. The word tune has several meanings in English. It can mean the melody of a song, the song itself, or as an action, it can mean finding a radio station. In the latter case, one can tune in to a station or tune out from it. In metaphorical terms, to tune out something means to ignore it or stop caring about it. Example: When there are many scandals in an election, many voters tune out and stop participating in their local or national elections. When people cannot recognize the difference between musical tones, we say that they are tone-deaf. In common terms, we may say that people are tone-deaf if they cannot understand different points of view. Example: A political candidate who is tone-deaf to the problems of the middle class in America will not win many elections. When two sounds vibrate at similar frequencies, they are said to resonate, as when two notes within a chord will resonate together. In common terms, when an action or event occurs and seems to affect many different groups of people, we may say that it resonates with many different people. Example: After many Americans lost their jobs, their homes or their pensions largely because of the greed of Wall Street investors, the talk of politicians to pass new regulations for Wall Street really resonated with the average citizen. Under certain conditions such as a large enclosed space or chamber, a sound will bounce off of a wall and repeat itself several times until it fades away. This is called an echo. Metaphorically, an echo occurs when a word, idea or argument is repeated by several people after its first use. In politics, a media source that repeats the ideas or arguments of politicians may be called an echo chamber. Example: Critics of conservative talk radio programs say that the programs are merely echo chambers for conservative politicians. Other critics say that liberal news shows merely echo the views of liberal politicians. Another way of describing an echo in speech or music is to say that a sound reverberates. In politics, an important idea or argument may reverberate throughout many areas of the country. Example: In 2010, critics of the plan to build a mosque near the sight of the terrorist attacks in New York City created arguments against Muslims that reverberated with many Americans fearful of another attack. 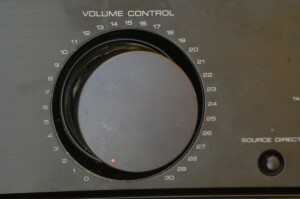 When we play music, we can adjust the volume to be very quiet or extremely loud. If we cannot hear the music, we may need to turn it up. If we are playing the music too loudly, someone else may ask us to turn it down. In politics, if someone is not working hard enough to solve a particular problem, critics may say that he or she needs to turn up the volume. 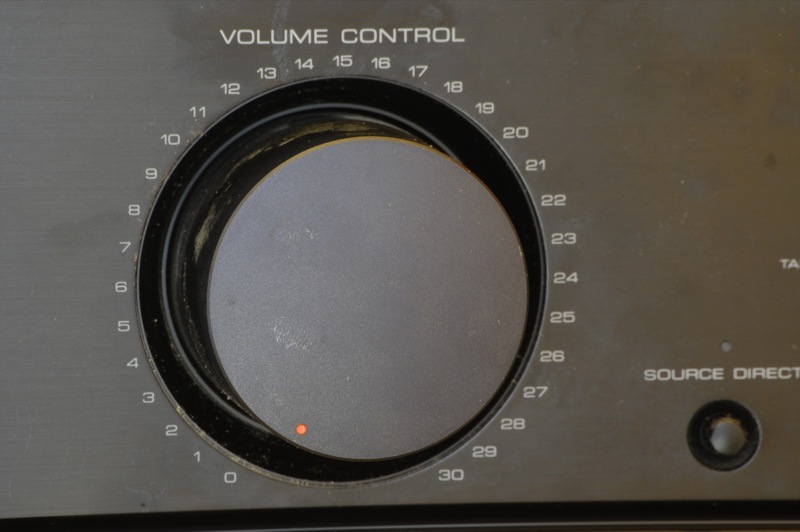 If someone is being too aggressive on an issue, critics may ask him or her to turn down the volume. Example: After the economic crises of 2008 and 2009, many Americans wanted President Obama to turn up the volume on prosecuting Wall Street corporate CEO’s who ruined the economy. Rhetoric is the way that we persuade or argue a point in an argument. Similar to the idea of turning down the volume, we can also say to tone down the rhetoric. In politics if someone is being too aggressive on a particular issue, he or she may be asked to tone down the rhetoric, especially if that person is talking a lot but doing very little to solve the problem. 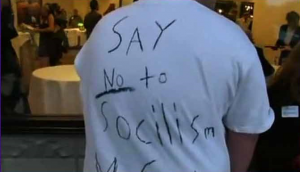 Example: Immigration reform is a hot topic in American politics. Critics of both Republican and Democratic politicians claim that members of Congress need to tone down the rhetoric and come up with some real-world solutions. I have previously commented on President Obama’s use of the redline metaphor on May 11th of this year in my post on Redline, Backfire and Breakdown. For more details on Lakoff’s family structure conceptual metaphors, see his must-read book Don’t Think of an Elephant!